Tamir Shmerling is a double and electric bass player from Ashkelon, Israel. 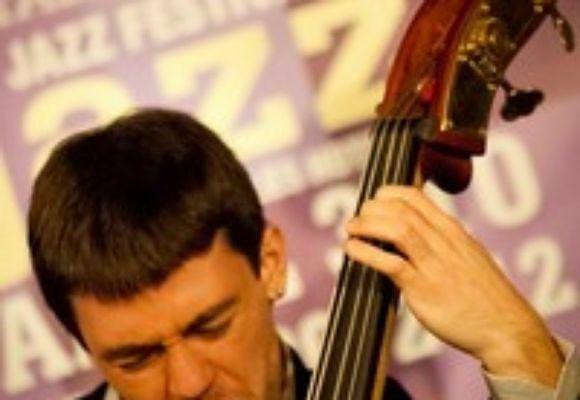 He served as the bassist in the Israeli Defense Forces Orchestra from 2005 to 2008. After his service, he performed with the Tel Aviv and Holon big bands and studied at Rimon School of Music. In 2008 Shmerling was awarded a scholarship to attend Berklee. He has studied there with Hal Crook, Ralph Peterson, Jr., Terri Lyne Carrington, Greg Osby, Jamey Haddad, Alain Mallet, John Lockwood and Ed Tomassi. Since his arrival to the US, he has also had the honor to perform and record with artists such as Terri Lyne Carrington, Kevin Eubanks, Jerry Bergonzi, Alain Mallet, Carmen Lundy, Lizz Wright, Ingrid Jensen, Adam Rogers, Nona Hendrix, Gretchen Parlato, Helen Sung, Ofer Ganor, Avishai Cohen, Ignacio Berroa, Jason Palmer, Jerome Sabbagh and many more.